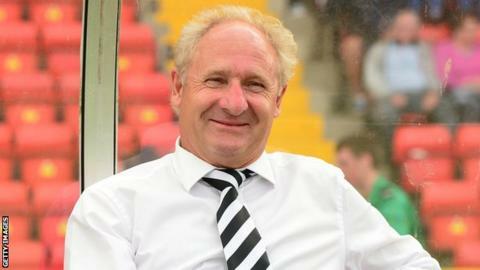 National League side Gateshead have sacked manager Malcolm Crosby after just five months in charge. The 61-year-old, who took over in June, had led the 12th-placed Tynesiders to one win in eight league games. Assistant boss Gary Owers has also left after Saturday's 4-1 defeat by Halifax. "Chairman Richard Bennett wishes to thank both Malcolm and Gary for their time and effort at Gateshead and wishes them both the very best for the future," a club statement said.